There is a renewed interest over the use of comfort care as a planned, managed care option for persons afflicted with chronic illness, are terminally ill or are frail. Here, the term terminal refers to a progressive disease that is incurable and irreversible; that is, it no longer responds to treatment and death is usually the expected result within a short period of time. Choosing to receive “comfort care” does not mean you are giving up, you have decided to die or you will receive no medical care. Comfort care might not be as aggressive as other life-prolonging measures, but it is medical care. With the advances in modern technology, there are very aggressive measures available that can be used to treat many illnesses. However, when faced with a terminal illness, people are choosing quality of life over quantity of days. Comfort care really is about choices. When one is faced with a decision about long-term care for a chronic illness, the focus often turns to comfort measures for symptom control – managing pain, eliminating nausea or anxiety, etc. It can also include choices as to where and how often one wants to receive care. Many are opting for the comforts of home. Other choose the loving environment of a hospice facility. Barbara Bush recently brought to light the discussion over comfort care when she publicly announced that as her treatment of choice before her passing in April. When people get to choose how they want to manage their care, they are more empowered in the process. Research suggests that on some level, they ultimately feel better about making the decision. They become partners in their own life’s journey. There are opinions that associate choosing comfort care with giving up, and it is not, not at all. Comfort care still looks forward, it just no longer seeks a cure or a reversal of the condition. Done well, comfort care is a planned care option in which the patient, family members and care team discuss and agree on the course of action. It can be spiritually honoring for the care recipient, and provide peace of mind for the family. And there is no right or wrong way to feel about considering comfort care as your choice. I pray this column brings peace to your soul. If you need us, call us at 480-659-9201. We are Comfort Keepers. 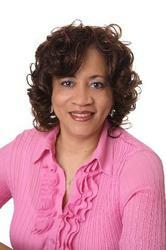 Sheriolyn Curry, CSA, is the owner of Comfort Keepers of Maricopa. This column appears in the June issue of InMaricopa.